This Association was founded in 1977, to establish hypnosis as a functional therapeutic tool for the promotion of health, both emotional and physical. Members maintain an ongoing commitment to the profession and science of hypnosis. To increase awareness and understanding of the therapeutic value of hypnosis and to encourage and maintain high standards of professional practice in the field of hypnotherapy. Hypnosis, when used in the therapeutic context, is a comfortable state of mind which permits one to focus attention on the healing of body and/or mind. Hypnosis can assist the individual to create change through increased self-awareness. Hypnosis promotes self-healing and empowerment. Members will meet the requirements of their professional organization and accept its ethical and scientific standards. Members shall limit their clinical and scientific use of hypnosis to the areas of their competence as defined by the professional standards of their field. Members shall at all times conduct themselves in a manner reflecting their humanistic, altruistic, holistic and eclectic concern with mankind. Members shall only make use of clinical and scientific hypnosis if it contributes to the welfare of the client and to the advancement of the professional knowledge of the science. There have been many changes taking place in CHA over the last few months. It is with great regret that we accepted Di Cherryâ��s resignation as President due to illness. We will miss her at the helm. However, thankfully she will stay on as Director At Large. Over the years Di has contributed significantly to the CHA and to the practice of Hypnotherapy in general. 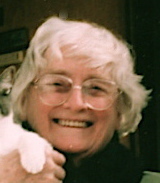 Those who know her will miss her wisdom, her avid curiosity and witty sense of mischievous humor. Thank you Di for everything!! You truly are a trooper and inspiration. Website: Get name posted! As a Members who are paid up to date you can be listed on our website. Great advertizing opportunity! New School of Hypnotherapy: We are delighted to announce a new school of Hypnotherapy on Vancouver Island. Heartland School of Hypnotherapy. Congratulations Germana! What is the website for this and contact number?? Importance of Credited Schools of Hypnotherapy. The subject of distance learning has been of interest recently, not only in our profession, but others as well. Some well-known educational institutions have developed programs of study that students can do on the Internet. However, these are academic subjects that donâ��t necessarily involve hands-on procedures with clients. It still is pretty conclusive that to become a confident and competent hypnotherapist, hands-on instruction with instructor demonstrations, actual live supervised student practice, and on the spot critiquing by the instructor is the key to producing confident and competent Hypnotherapy graduates. CHA Newsletter: We are pleased to announce that Taylor Bailey our newsletter editor will continue providing news to members on a quarterly basis. Our email newsletters will include access to high quality articles and scripts. We encourage CHA Members to submit articles for review to taylore@telus.net. At the conclusion of your article, give a brief description of up to two sentences about yourself. We will include such information as the name of your hypnotherapy business (if applicable) and city where it is located. If you read an interesting article on hypnosis please let us know and we will attempt to get permission to print it in a future Newsletter. Membership: If your membership has lapsed and you might want to renew it. Many exciting new benefits are available and more are coming up for Members. Please email Marjan marjan.moaref@gmail.com to request a renewal form. Loyal members who have backed our efforts are an important part of the success equation, and we appreciate all of you whether you have been a Member of CHA for years, or just joined. New members are very important to CHA and to our profession. Those joining our ranks who are forward-looking and enthusiastic have the opportunity to thrive as hypnotherapists in the profession we fore-runners established. These are the ones who will benefit from the foundation that the â��old-timersâ�� have built for this separate and distinct profession. Networking Gatherings: We discussed setting up quarterly meetings where participants could network, learn new techniques and methodologies, discuss difficulties with specific clients, etc. There would be a charge of possibly $25.00 for participants. Stay tuned for dates and locations. As a valued member of CHA you will be able to attend. With over fifty years as a hypnotist I still find that there is always something else I can learn from others. It might be something totally new for me or something I knew, but havenâ��tâ�� used for a while or had forgotten about. This ever-expanding profession we are a part of is not simply a hobby or pastime. We arenâ��t trying to be an alternative to established licensed health practitioners, but rather to be complementary to them. We have our own professional language, standards of practice and code of ethics. We are dedicated Hypnotherapists who help ordinary, everyday people with everyday problems and get results. We need to be competent and confident hypnotists who work in-person, one-on-one with our clients. It goes way beyond peddling CDs, DVDs and Hypnosis Shows to the public. Every career that Iâ��ve had, and there have been several, has been something that I loved to do, and I would like to have you be able to say the same about being in this profession. When you have a passion bout your work it really isnâ��t work anymore. The most successful hypnotherapists that I know really enjoy what they do, and they also enjoy comfortable incomes. You will find that money is truly the by-product of services rendered when you are providing your services as a hypnotherapist with integrity and professionalism and helping people with their problems. Using self-hypnosis, we have an edge over most people because we can program ourselves in a positive way when we want or need that extra boost. In fact, if you ask any of the leaders in this profession the majority will tell you they use self-hypnosis constantly. I APPRECIATE YOU ALL very much and believe each one of you has a GREAT MISSION in doing this work. I look forward to the coming year of a renewed CHA with new and old members joining together to make CHA outstanding. To enlarge our referral service. Dr. Sharon Forrest, now in her late sixties, has been a healer since the age of 5, and has spent the last 30+ years teaching natural healing and mind-body medicine worldwide. Dr. Sharon is a master healer/teacher, clinical transformational hypnotherapist and nutritionist with an extensive background in naturopathic medicine, transpersonal psychology and parapsychology. Many call her "The Life Changer", "Miracle Lady" and "Bratty Angel." Dr. Sharon blends healing and science with love and laughter in this powerful experience. Dr. Sharon has appeared on numerous TV shows and her work has been researched for years. Her clients include best-known personal growth, health and political leaders, actors, actresses and singers. Come and find out why. Throughout history there have been people who have demonstrated exceptional gifts of healing and desire to enhance the lives of others. A hands-on-healer since early childhood, a counselor in the slums at the age of 16, and director/cofounder of 2 research hospitals, Dr. Sharon now in her 70s believes that uncovering and healing the underlying cause is the key to lasting transformation and health. Invariably in cases where relationships or psychological, physical and medical treatments fail, it is because of a hidden or subconscious emotional blueprint. This can change! Not only an amazing Master Healer and gifted teacher, Dr. Sharon is an exceptionally powerful Spiritual and Life Coach. Come experience her work! Session on many of the above modalities can be done by phone. Appointment required.